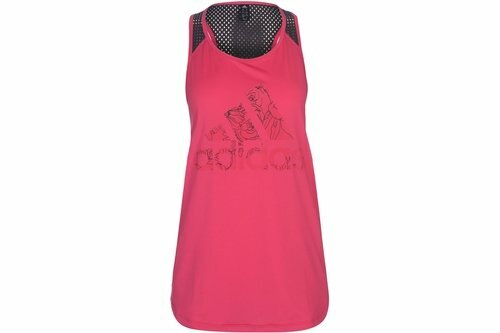 Ideal for your next training session or work out, the adidas vest is a sleeveless construction that features mesh panelling and a cut out on the back. It&apos;s crafted with Climalite technology that wicks sweat away from the skin, helping you to stay cool and dry. adidas branding is printed to the chest with floral patterning for a stylish finish.